Rocket Internet is backing Brazilian taxi smartphone app Easy Taxi to the tune of R$10million (€3.77m), according to news outlet Estadao. So far the app – which lets users request and track the arrival of their cabs from within the app – covers Sao Paulo and Rio de Janeiro. According to Estadao, the injection of new funding from Rocket will be used to expand the company internationally to compete with the likes of Germany’s myTaxi, which itself expanded into the US this month, and the UK’s GetTaxi. Easy Taxi charges a flat fee of R$2 (€0.75) for each successful fare and aims to bring taxi to app user within ten minutes. The company is also aiming to introduce in-app payments. Taxis are a favourite mode of transport in Brazil’s sprawling metropolises, and EasyTaxi’s founder Tallis Gomes expects quick adoption. A separate article, on the Jornal do Empreendedor website, suggests Easy Taxi currently has a base of about 400 registered cabs and 5000 app users in Rio de Janeiro and and aims to end the year with a thousand cabs and 10,000 customers in Rio alone. 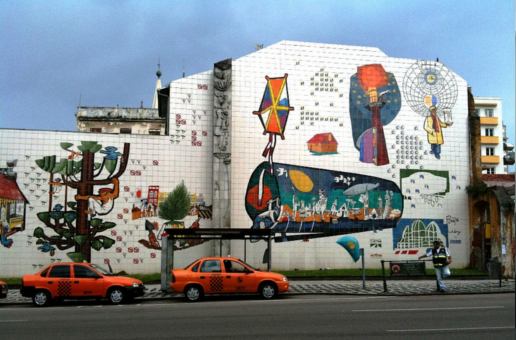 In Sao Paulo, the aim is apparently to expand from 100 cabs to 2000 by the end of the year. The terms of Rocket Internet’s investment were undisclosed – the funding round is described by one article as a Series A. It’s unclear whether Rocket Internet had any involvement with the company prior to this investment. If it didn’t, the investment would come as a departure from the company’s typical modus operandi – growing companies in partnership with founders from the ground up. Rocket Internet’s other ventures in Brazil include Dafiti (similar to Zalando), Airu (marketplace for homemade and vintage goods), Kanui (sports goods), Mobly (homewear) and Tricae (children’s goods), as well as regional branches of its global ventures, including plug-and-pay smartphone payments company Payleven (a copycat of Square in the US).